Quality and quantity of food we take in our day-to-day life is closely related to our health and state of mind. 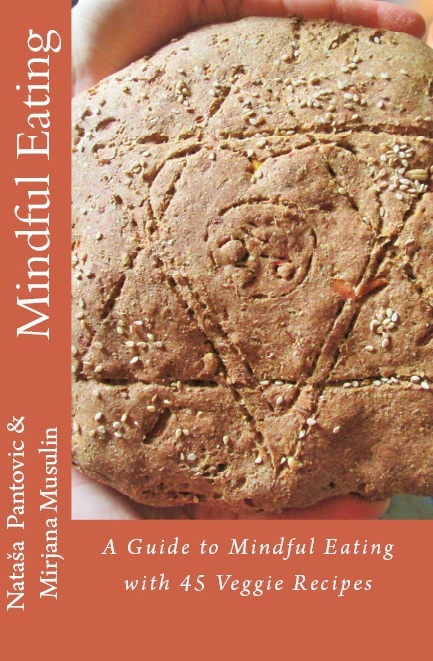 The Guide to Mindful Eating is a collection of mindfulness Eating Exercises and transformation tools with 45 delicious veggie recipes that are recommended within a weekly dream healthy menu. The Guide is designed to enrich the reader’s knowledge about mindfulness, mindful eating and nutrition, it is full of healthy cooking tips, and the ways to have a healthy vegetarian diet. ‘We at the Artof4elements believe that the path to a healthy body, and happy soul starts with awareness, mindfulness, and goes through a forest of self-study, ending at the gate of self-love.’ says Nataša Pantovic Nuit. The Guide to the Conscious Eating is designed to empower the readers in their relationship to food, helping them become more aware and conscious of the body / mind connection to food. The Guide to Mindful Eating offers the day-to-day transformation tools and veggie recipes that are recommended within weekly dream healthy menu. With 45 delicious vegetarian food for health recipes, collected around the world, this Guide enriches the reader’s knowledge about health, healthy breakfast, healthy lunch and dinners, veggie healthy snacks and it includes some delicious sweets’ recipes. Mirjana got her inspiration to help others understand their nutritional needs from her-own bad experience. A few years back, due to an accumulated stress caused by moving her house, changing her job, and the broken heart experience, she simply stopped eating. After finding no help with various doctors, Mirjana has decided to take her nutrition seriously and the results were miraculous. Extremely well to restore power, especially for people who are tired, lifeless and feeble. 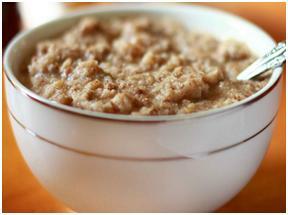 Recommended to be eaten, in the morning , for breakfast. Most Important Tips How to Stay Healthy?